For better or for worse, one thing is true in both the healthcare field and the financial infrastructure around it; change is inevitable. As new methods of treatment and new methods of organization come into practice, this affects how payments are made and handled. This is especially true in the 21st century, where we’ve come a long way from earlier practices and processes. 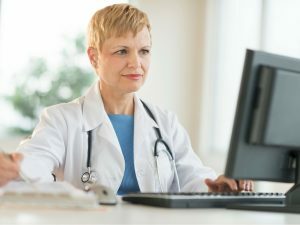 Even in more out of the way population areas, things like electronic health/medical records and how they tie into compliance with insurance payments play a large role in across the board standardization for treatments, payments and other transactions. So what kind of changes are going to be coming for health and medical practitioners, and what can you do about it? Let’s look at some of the big factors. With a new administration, a wealth of changes is on the way, particularly in the area of healthcare payments. This will be the single, biggest factor for everyone in the healthcare industry—and their patients—to deal with. Of course, the biggest issue is that right now, we don’t know exactly what those changes are going to be, only that the attempt is being made. Congress has already failed once to bring about concrete changes to their ambitious “repeal and replace” policy, but a second attempt has fared better and is still under scrutiny in the political process. With it, significant issues such as pre-existing conditions and other concerns will need to be addressed. But exactly how? We won’t know for sure until everything has been approved and passed. With the changes in the AHCA, one of the big things every health care practitioner can count on as an unpleasant inevitability is that there will be more denials. Whatever the shape of the future AHCA plans take, it will make it more difficult than ever for people to pay for healthcare treatment and you and your staff will experience this in the form of increased denials when you make your submissions. Be prepared for this. Your staff is going to deal with more resubmissions and resolutions, and this means that there will be gaps and delays in your RCM. Ensure you’re ready to deal with this. Otherwise, it can be crippling. You, your staff, and even your patients will have to learn and disseminate. Once the changes come down the line and are understood, you need to make sure all relevant staff understands what those changes are, how to accommodate them, and how to put them into practice with patients. This also means, however, that you will need to either explain to your patients or point them in the right direction to educate themselves what these developments mean for their treatment and payment. There will be big changes to the way their expenses and financial responsibilities will be handled, and you need to make sure they are ready for this, otherwise, it impacts not just them but you and your facility. Revenue cycle management may seem complex, but it’s an essential component in efficiently managing medical finances. Make sure you’re ready for the changes that are coming, and how they affect you.